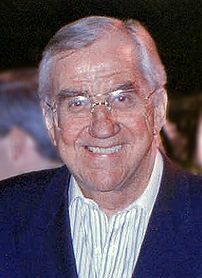 Image via WikipediaEd McMahon is joining the ranks of those facing foreclosure. The numbers may be a smidgen higher than most. He’s $644,000 behind on a $4.8 million mortgage for his house in Beverly Hills. What I can’t get over is he was worth over $200 million in the nineties, won a $7.2 million insurance settlement in 2002 and yet he hadn’t paid off his house. He made more money in one insurance settlement than most people dream of making their entire life, and now he’s $600K in the hole. I don’t expect anyone to be shedding a tear for his current situation. There may be details about his finances that we don’t know about, but from my perspective he just hasn’t learned how to manage his finances. Here’s the article at the LA Times.